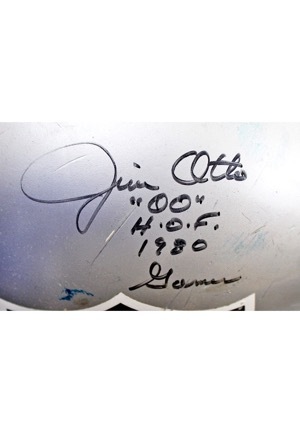 Jim Otto had a Hall of Fame career, was a 10-Time All-Pro player and was recently selected as the 63rd best player in NFL history by NFL.com. 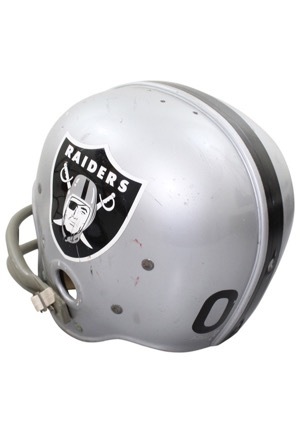 This Riddell manufactured 12-point suspension helmet depicts the Raiders logo on both sides and Otto’s iconic “00” decals on the back. 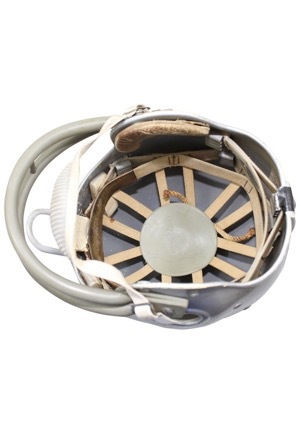 The helmet features a custom leather headband and bumper from the team's longtime trainer George Anderson. 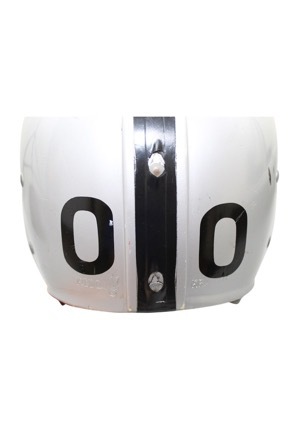 Otto signed the outside of the helmet in black marker with the added inscriptions “00” H.O.F. 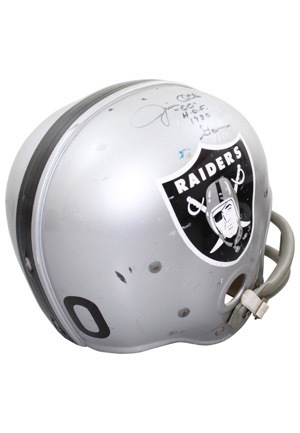 1980 Gamer” and in our opinion the signature rates a strong 8. 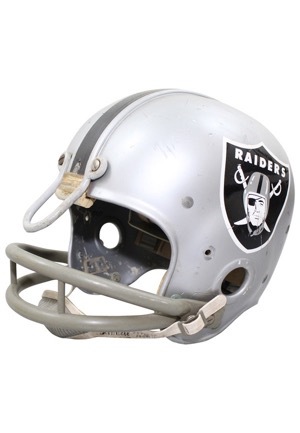 The helmets padding and chinstrap are fully intact. 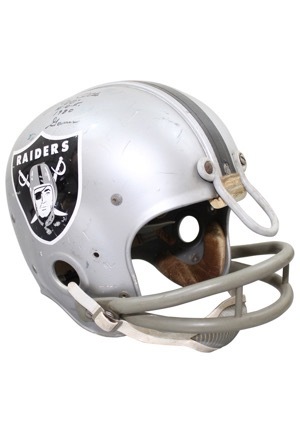 This helmet is properly tagged and shows outstanding game use. Accompanied by a LOA from JSA, a Full PSA/DNA LOA Heritage Documentation.